SUMMIT COUNTY – A storm rolling through the High Country on the last day of summer dropped between 2 and 4 inches of snow Monday. The unsettled weather is expected to move out of the area later today. The spell of cold weather could give snowmaking crews at local ski areas a jump start. Loveland, Arapahoe Basin and Copper Mountain are all scheduled to fire up their snow guns within the next few weeks. A dusting of natural snow helps cool the ground and set the stage for early season skiing. 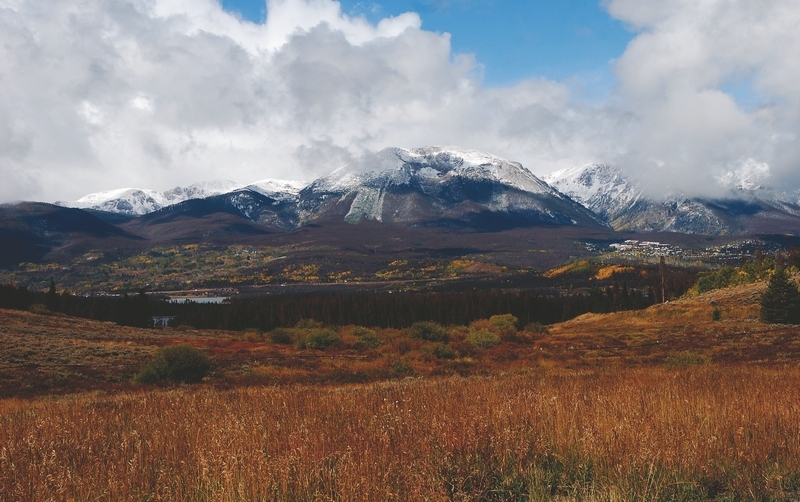 September snows are far from unheard of in Summit County. Breckenridge weather watcher Rick Bly said 53 inches of snow fell in September of 1961. After a dry August, the moisture this month is welcome to Colorado water managers looking to keep reservoirs as full as possible. Temperatures Monday and Tuesday night are expected to drop below freezing, so sensitive plants should be covered up or brought inside. The second part of the week should see a return to warmer weather, with temperatures expected to climb back into the high 50s by Friday. A wet autumn could be a consequence of a moderate El Nino (warmer-than-average sea surface temperatures in the Pacific), according to Klaus Wolter, a climate researcher with the National Oceanic and Atmospheric Administration. Wolter said that, over the past 20 years or so, the cyclical change in Pacific Ocean conditions has often brought above-normal precipitation to Colorado and the Southwest in fall. But those current conditions are not a good indication of how the winter will go. Wolter said. During El Nino years, southwest Colorado often benefits from a storm track that carries moisture from the Pacific across Southern California and into the Southwest. But for the rest of Colorado, the odds are evenly split for above- or below-normal precipitation. At the same time, the federal Climate Prediction Center is forecasting above-average temperatures in Colorado for the October through December period.